Summer is here! It’s time to don on those bathing suits! It’s time for visiting beautiful beaches, swimming in turquoise seas, and burying your feet in sandbars. But perhaps our picturesque seas are not enough to ward off the summer heat. Perhaps you’re looking for alternatives to crowded beaches and fully booked resorts? Then frolicking under the curtain of our scenic waterfalls may be the solution! This summer, why don’t you head off somewhere other than the beach? Why don’t you cool yourself at these magnificent waterfalls? Start out your waterfall journey with a triple treat! 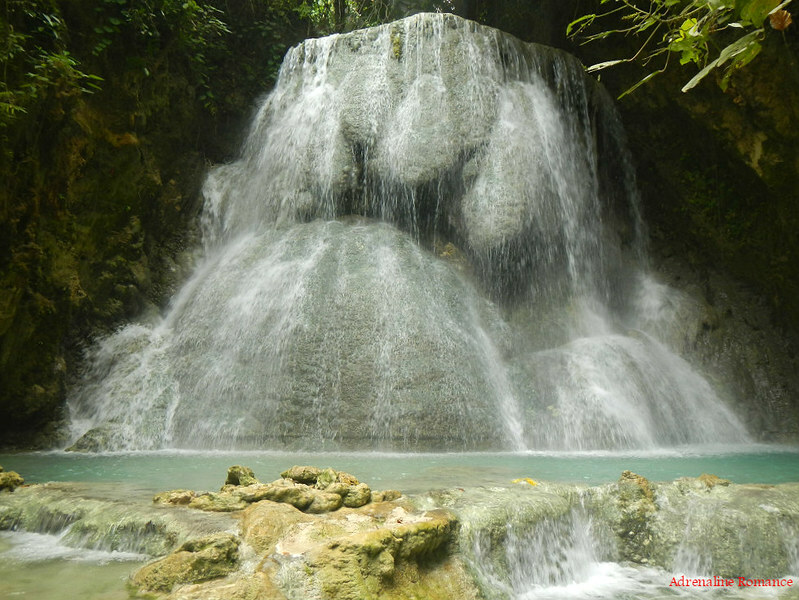 Cebu’s southern municipality of Samboan has three flowing jewels—cascading Aguinid Falls, towering Dau Falls, and hidden Binalayan Falls. Each has its own irresistible charm and challenge. And best of fall, they are in such close proximity that you can actually visit all three waterfalls in one day! And if you have time to spare, have a bonus adventure by exploring the coral fields of Colase Marine Sanctuary, which is probably the largest marine sanctuary in southern Cebu. 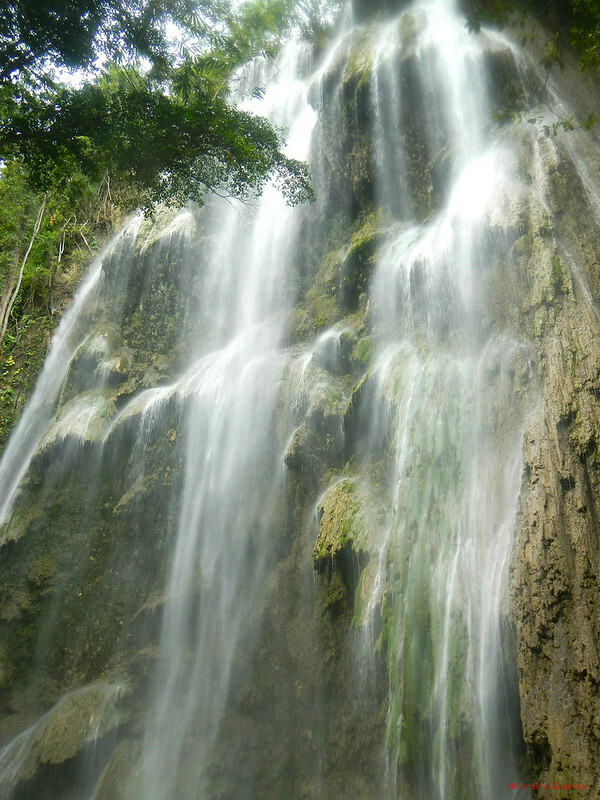 The Samboan Waterfall trilogy in Samboan, Cebu is quite popular, so you can expect a lot of visitors. If you want somewhere more quiet and pristine, then head off to the lesser known Calasa Falls. You need to trek down a slippery hill and bushwhack your way around a thick patch of vegetation to reach to this hidden gem. 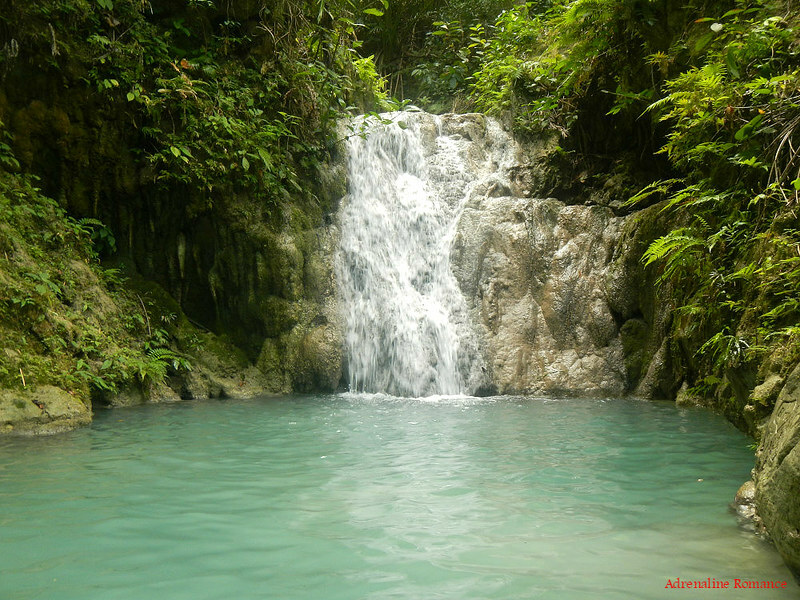 Frolicking in Calasa Falls is an experience in serenity. In fact, don’t be surprised if you see a dazzling fairy wearing a diaphanous gown enjoying the water with you. Yes, this realm is just magical! The giant rock face of Tumalog Falls in Oslob, Cebu is encrusted with long tendrils of moss. Water runs through these moss, giving the waterfall a gossamer, satin liquid wall. The water falls gently, which gives bathers a gentle Nature’s shower. Another beautiful thing about Tumalog is that the pool underneath the falls is shallow—mostly knee-deep. This makes the waterfall safe for kids and non-swimmers. 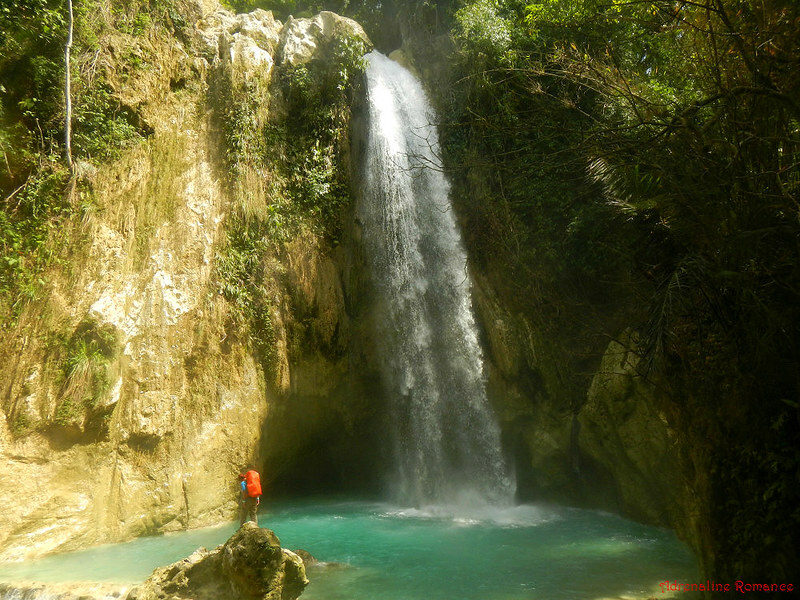 The mighty Inambakan Falls in the municipality in Ginatilan, Southern Cebu is one of the must-visit sites in the municipality. The towering waterfalls pours into a deep aquamarine pool where you can cool off. The water is deep enough for a high dive; just dive with care. The force of the water forms a light mist all over the immediate area, so be careful as you trod on the rocks as they’re slippery. Whoever would have thought that a large beautiful waterfall can be visited inside a city! Well, welcome to Bangon Falls in Catbalogan, Samar. But going here to simply swim around its pool is like eating puso without a barbecue. The “barbecue” for this waterfall is a canyoning adventure wherein your course passes through Bangon Waterfalls. And to successfully complete your adventure, you have to jump from the tip of this 30-foot wall! Pump up your adrenaline while cooling down! Contact Joni of Trexplore the Adventures. 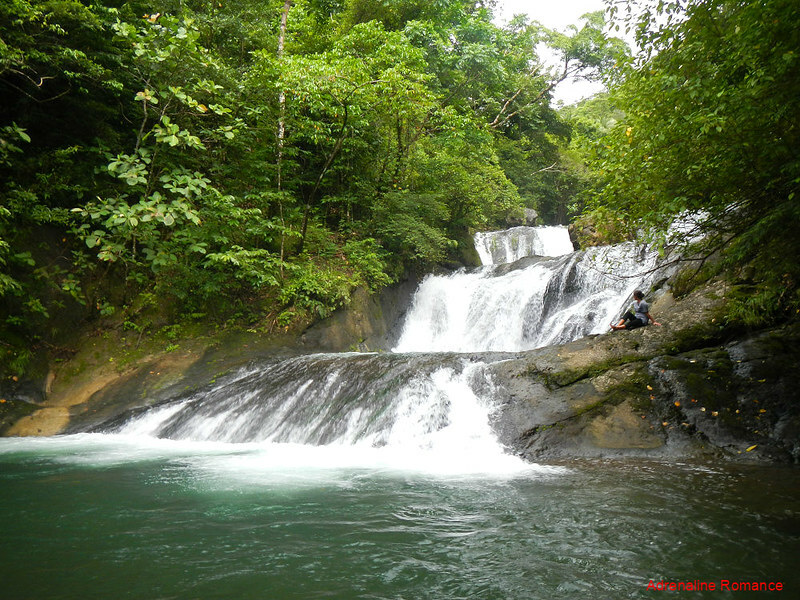 Ulan-ulan Falls is part of the mighty Sampao River in Biliran. The towering 150-foot monstrosity sends a heavy rain-like cascade around the pool, thus the name. 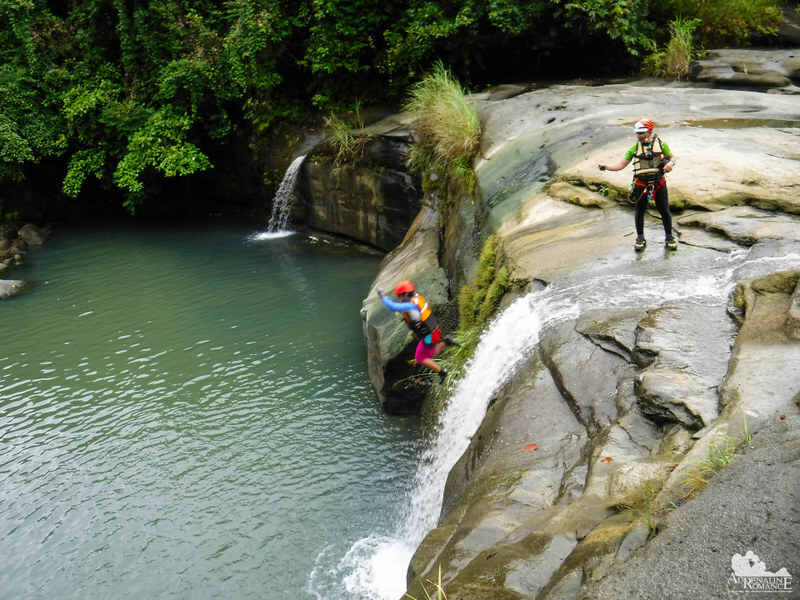 Like Bangon Falls, it is the culminating of a daring canyoning adventure in Biliran. And canyoning down the Sampao River is one of the best adventures we ever did. 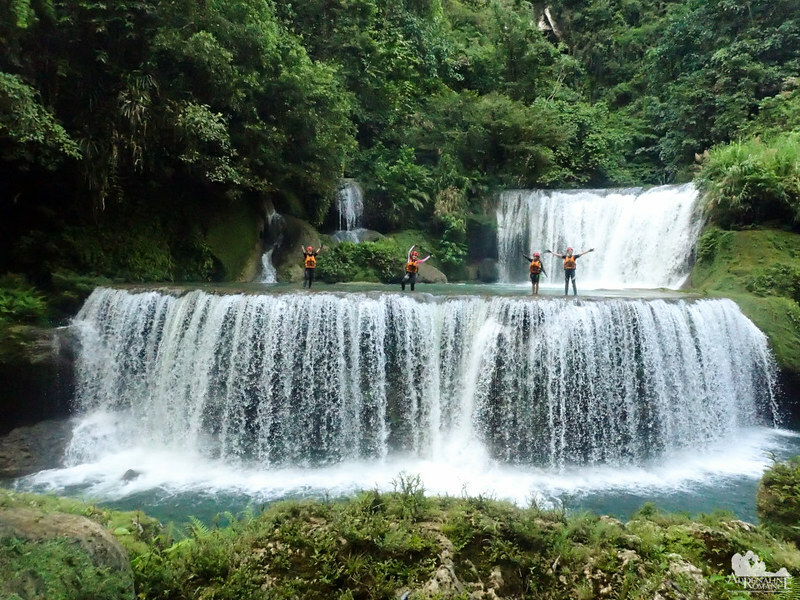 Ulan-ulan Falls is just one of the numerous waterfalls that line up Sampao River, so make it worth your while and contact Joni of Trexplore the Adventures for a river adventure of a lifetime! 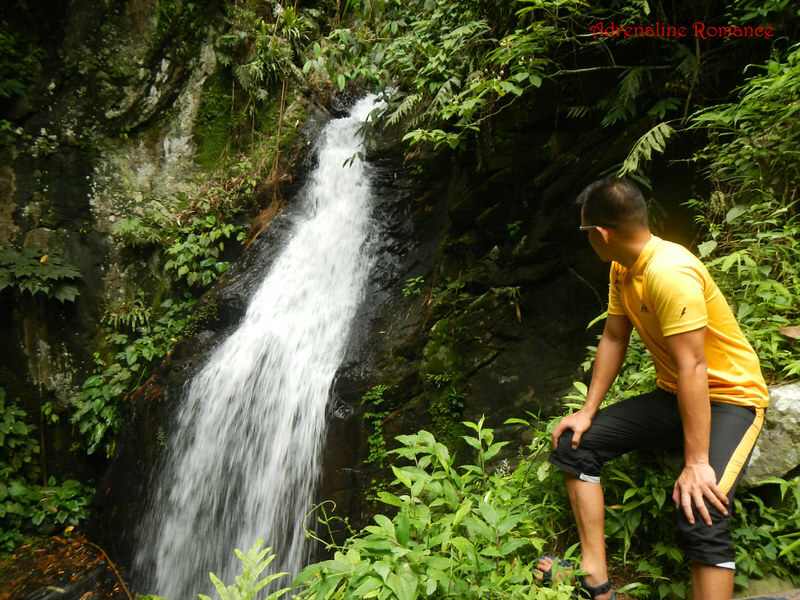 Deep within the unexplored, virgin jungles of Samar is the mystic Pinipisakan Falls. It is safe to say this is the most beautiful and magical waterfall we’ve ever visited. At the top tier of this cascading waterfall lies a titanic gateway to the underworld—the dark mouth of Sulpan Cave. But getting here is not easy. Aside from a 1-hour bus ride from Catbalogan, a 2-hour upstream boat ride, and a 2-hour trek, this waterfall is located in a supposedly rebel-infested jungle. Security is an issue, so you need to contact Joni to safely guide you here. Antique is a mostly under-rated destination, off-the-radar destination. But once you explore the province up close, you’ll realize it’s easy to fall in love with its incredible destination. 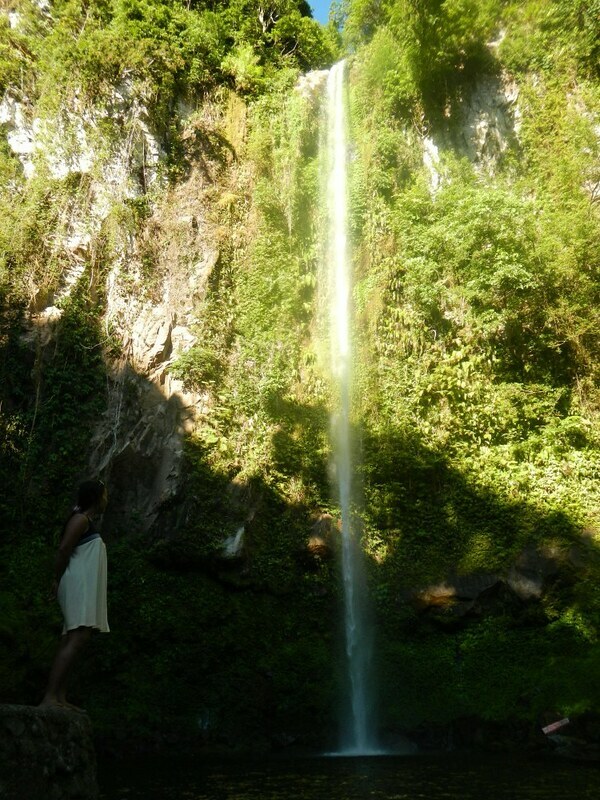 One of which are the massive Igpasungaw Falls in Sebaste. Untouched by mass tourism, it is among the most pristine waterfalls we’ve ever been. The water is so refreshingly cool, and there are plenty of natural “slides.” With the river’s strong current, it has the potential to be a canyoning site, especially for advanced canyoneers. Bugtong Bato Falls is a series of tall waterfalls in the highlands of Tibiao, Antique. But it’s more than just a popular summer waterhole for locals and visitors alike. The water from Bugtong Bato Falls is the lifeblood of the massive rice terraces and fields all around the river. Locals, therefore, have a great and important treasure here. Oh, and after a cool swim in Bugtong Bato Falls, you can warm up again by dipping in the hot bath kawas offered by various mountain resorts in the area. 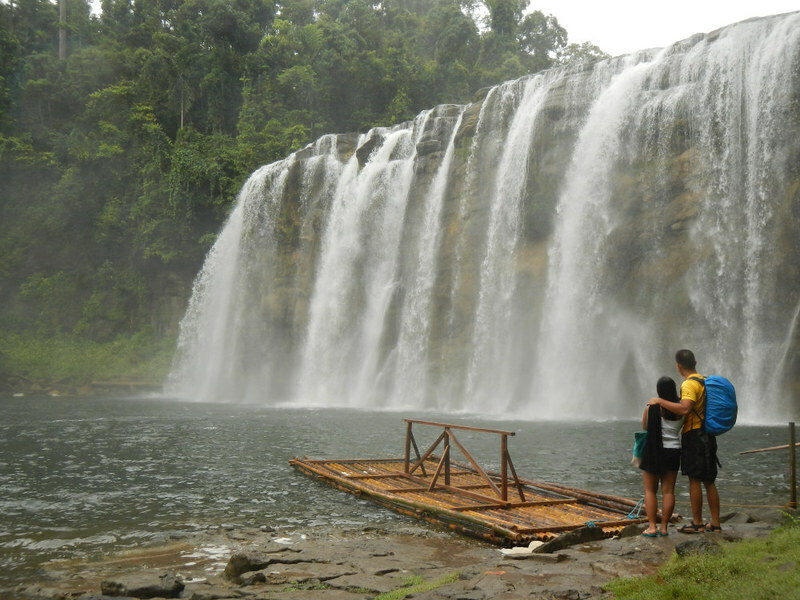 A dark legend supposedly surrounds Tinuy-an Falls in Bislig, Surigao del Sur, but that only increased its charm. At 95 meters in length and 55 meters in height, the power and immensity of this monster waterfalls is just overwhelming as you stand in front of its incredible curtain. You can rent a raft to go under the main waterfall letting the water pound over you. Want a gentler treatment? Above the main wall are natural step-like cascades where you can lie down for a relaxing natural massage. A hike along the Seven Waterfalls or Mambukal in Murcia is a great way to entice non-outdoorsmen to love and respect the wilderness. Visit seven beautiful waterfalls and enjoy the quiet of the forest along a well-established path. Of course, should you feel sweaty and hot during your hike, you can just take a dip in any of the seven waterfalls. 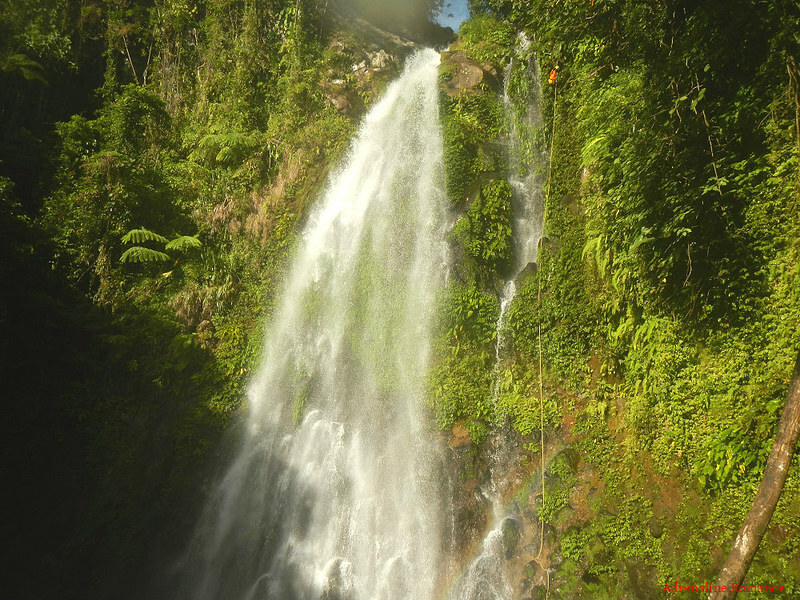 At 250 feet, the grandiose Katibawasan Falls is the tallest waterfall in Camiguin. Swimming in the pool below the waterfall is a sure way to stave off the summer heat. But beware. The water is incredibly cold! It’s like swimming in a pool of melted ice! 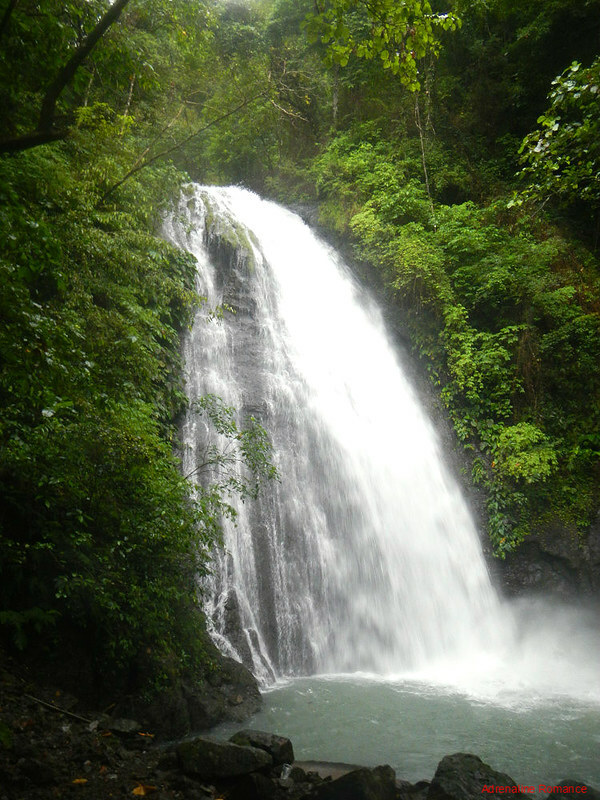 Katibawasan Falls is also the jump-off point for climbers who want to ascend Mt. Timpoong. Whew! With the sweltering temperature these days, we can’t wait to take to a dip in these cool waterfalls. But the Philippines has over 7,000 islands! This list is only a fraction of the hundreds of stunning waterfalls all around the country. Have you been to other amazing waterfalls in the Philippines? Recommend them here and invite fellow readers, travelers, and adventurers to check them out! Hi Arelberg! Thank you! Have you been to any of these waterfalls? Thanks for this amazing list! We are looking for more local travel adventures and this is perfection! Very nice! That’s a lot of waterfalls. This makes me want to grab my hiking boots and hit the trails to find some of these. It’s a shame, because I went to Cebu Island this year and didnt see any of those. THey look amazing and a great job with photos! Philippines is so beautiful that I just want to go there leaving everything. I would love to explore Cebu Island. Thanks for posting such soothing photos. 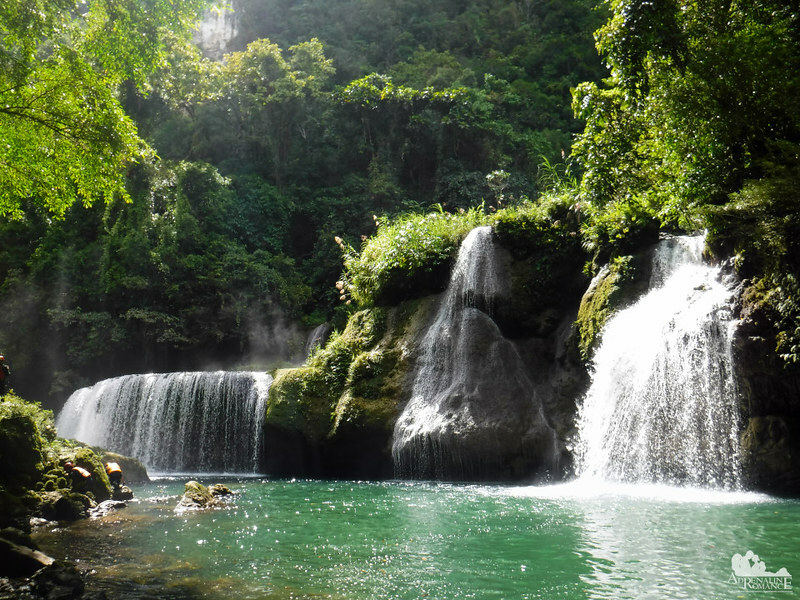 What a beautiful round-up of splendid waterfalls in the Phillipines! Haven’t got an opportunity to explore that part of the world yet but hope to visit someday! Wow those are ALL so beautiful. I have never been to Cebu but I would love to visit and see every one of them! A great way to cool off after a hike. I have never seen such a wide variety of waterfalls in my life. They look so magical!